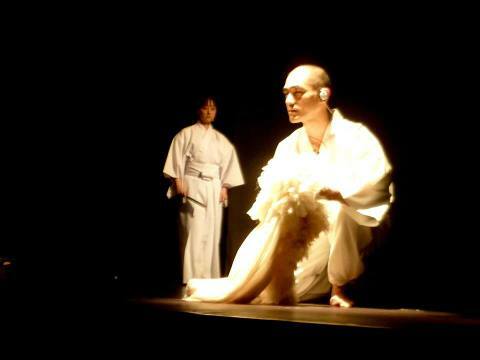 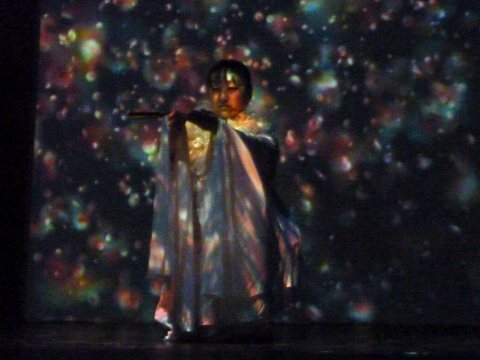 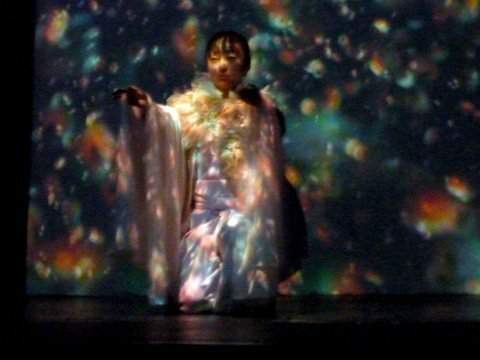 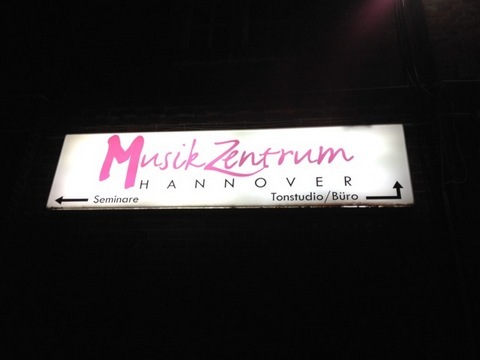 I perform Kumiko Omura's "Dance of Hagoromo" (Noh chamber opera with live electronics and video) at the ZKM, in Karlsruhe (30th of November) and in Hannover (4th of December). 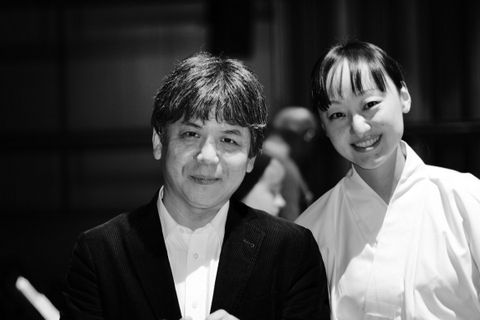 The composer, Toshio Hosokawa came to see our performance! 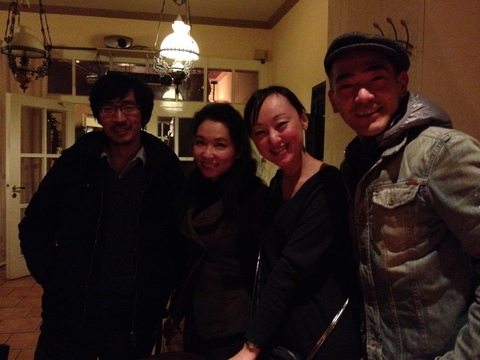 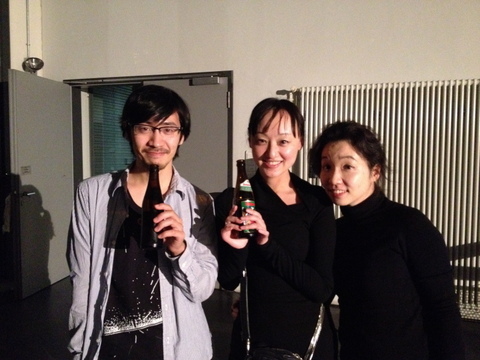 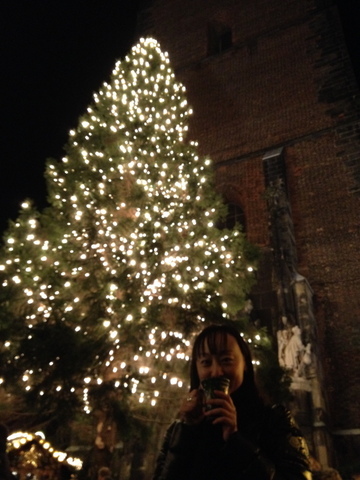 After the premiere, with Junichi Akagawa, Kumiko Omura.